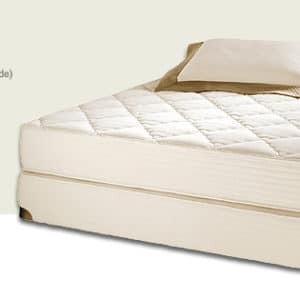 Special: Free Organic Cotton Waterproof Mattress Protector with every Naturepedic mattress purchase – $109-$139 value! For a limited time – while supplies last. We will automatically add your protector to your shipment! 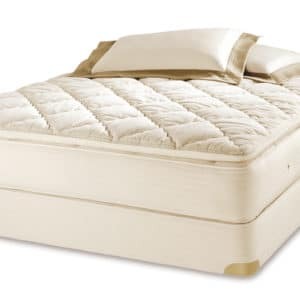 The Perfect Organic Kids Mattress! Waterproof when you need it and luxurious comfort quilted side as your child grows older. 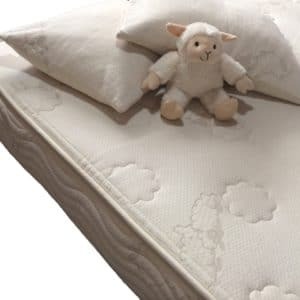 The versatile Naturepedic No-Compromise Organic 2-in-1 Organic Cotton Ultra mattress will grow with your child for many years. 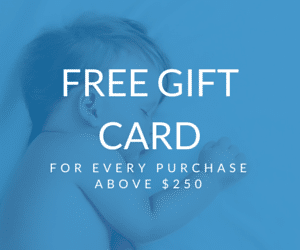 Free Organic Cotton Waterproof Mattress Protector with every Naturepedic mattress purchase – $109-$139 value! For a limited time – while supplies last. Protector will be automatically shipped with your order. 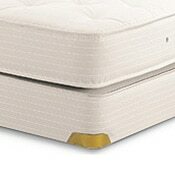 One free protector per Naturepedic mattress ordered. 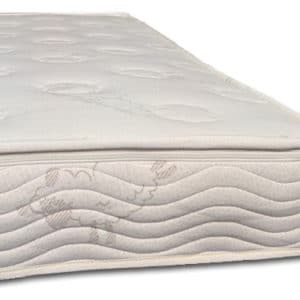 Having a waterproof children’s mattress will save you a lot of aggravation. The top and sides are dust mite proof and waterproof, providing durability and the easy clean up you need for young children. It features an organic cotton covering with a thin, clear, food-grade, plant-based polyethylene coating making it waterproof and easy to clean. The polyethylene coating is made from non-GMO sugar cane. Soft to the touch but durable and stain resistant, too. This polyethylene is an excellent alternative to vinyl/PVC. Certified non-toxic without any harmful chemicals that most children’s mattresses have, so you and your child can rest easy. The certified organic cotton and polyethylene top and side surface is super strong, tear resistant, waterproof, and very easy-to-clean. 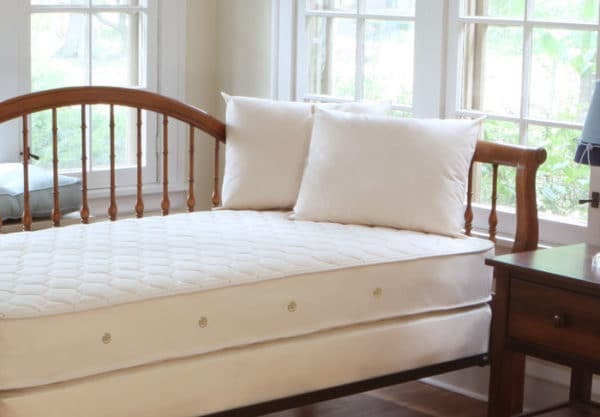 Flip the mattress over to the Quilted Deluxe side when your child is ready for added comfort. 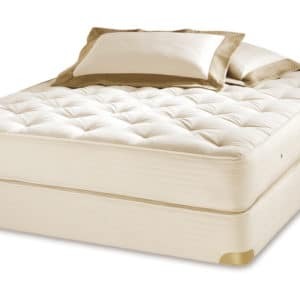 Features a luxuriously quilted organic cotton fabric finish for a more adult-like mattress feel. 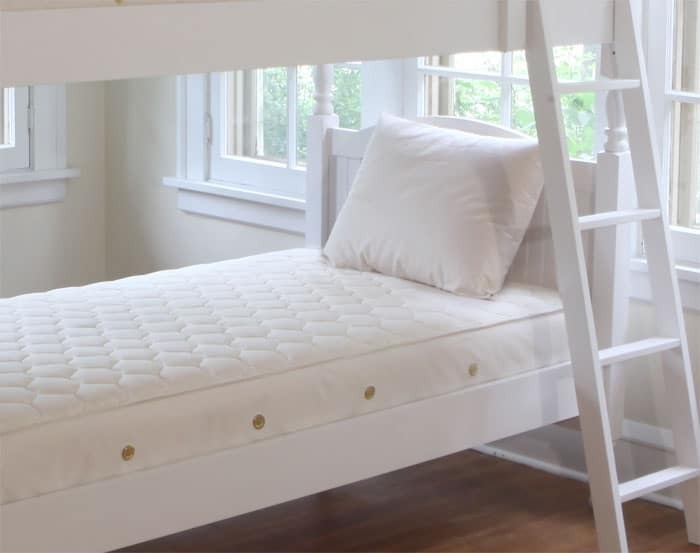 Perfect for older kids seeking a more comfortable sleep surface. 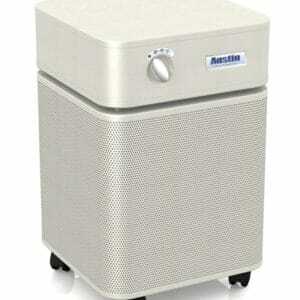 Please note that this side is not waterproof and may require a waterproof protector pad for full waterproof and dust-mite protection. 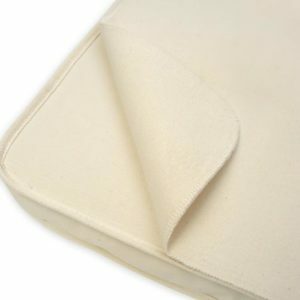 We recommend using the Organic Cotton Waterproof Mattress Pad to protect the quilted side from dust mites and accidents. GOTS Certified and Greenguard Select Certified! 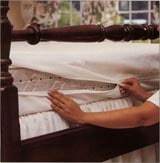 Not only are the individual materials certified, the finished mattress is certified as well. All components meet a stringent non-toxic standard. The 2 in 1 Ultra mattress is certified by OTCO to the Global Organic Textile Standard (GOTS) assuring the highest standard of healthy materials. All Naturepedic products are tested for chemical emissions and certified according to the most stringent GREENGUARD certification. No Phthalates, No Toxic Chemical Fire Retardants, No Polyurethane Foam, No Off-Gassing – Independently Tested and Confirmed! 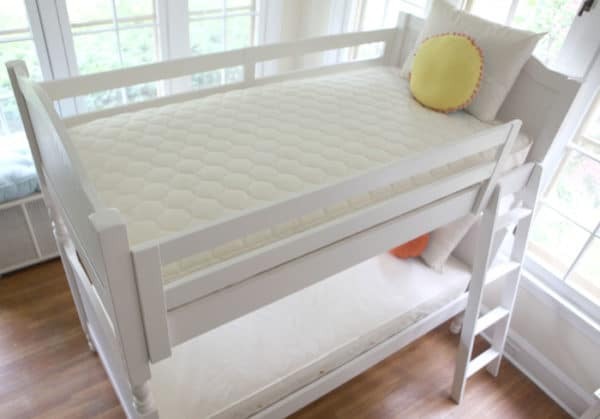 Children’s mattresses typically use materials such as vinyl/PVC, polyurethane foam, and fire retardants that release toxic chemicals and gases into your child’s sleep environment. These materials and chemicals have been eliminated in the 2 in 1 Organic Cotton Ultra Mattress. Children spend a lot of their early life sleeping and playing on a mattress. Your child’s health and safety should not be negotiable. Cotton does not burst into flames or release deadly fumes when ignited (as compared with polyurethane foam). 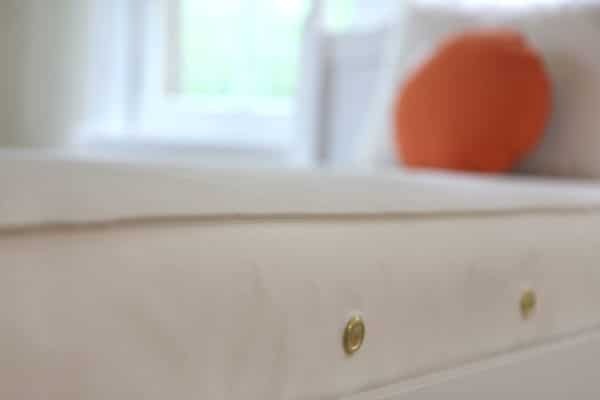 This mattress passes all Federal and State flammability standards without the use of any fire retardant chemicals or FR barriers. It’s an innovative design using natural materials (organic cotton fabric, organic cotton fiber and PLA fiber made from non-GMO potatoes) and the elimination of polyurethane foam. No PBDEs or any brominated or chlorinated fire retardants. No antimony, arsenic or phosphorus, no PAN (polyacrylonitrile), modacrylic, no dimethyl sulfate, and no boric acid, and no respirable crystaline silica. 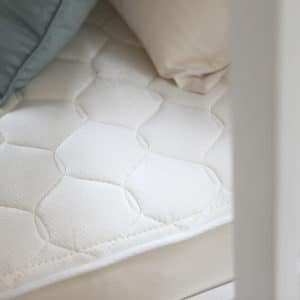 All Naturepedic mattresses have been confirmed by strict independent testing to not off-gas harmful substances. Heavy-duty orthopedic innerspring. In addition, heavy-duty border rods add strong side, edge, and center support for all models. 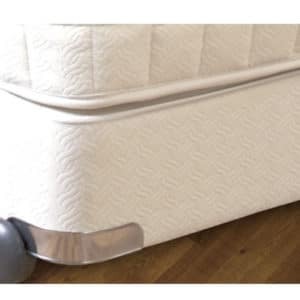 This mattress is not designed to be used on adjustable base frames. All Naturepedic mattresses and bedding are manufactured in the U.S.A. using materials made and/or grown only in the U.S.A. The Naturepedic Ultra foundation is made from organic cotton fabric and batting. 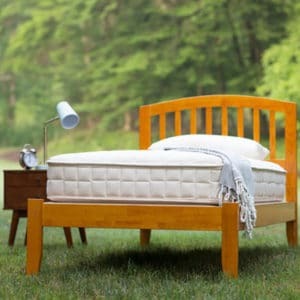 The internal frame is constructed from high quality FSC certified wood, providing strong balanced support for your mattress. All available in a 7″ standard profile or a 4″ low profile design. Healthy Child pays standard curbside freight shipping for your mattress within the Continental US (excluding New York, NY zip codes). Freight company charges a $100 surcharge to NYC addresses. If your order is shipping to a New York, NY zip code (via standard freight) your cost is $100. 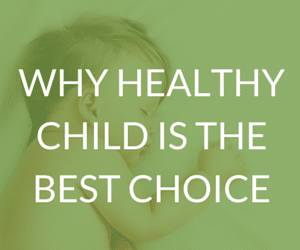 Healthy Child pays the remaining shipping cost. We will contact you to verify authorization to charge $100 to the same credit card or Paypal account used for your order if you do not authorize this charge in your order notes. The emBrace bed frame features contoured side rails supported by elegantly tapered legs. Made from hardened recycled railroad steel, it can support weights up to 5000 lbs. 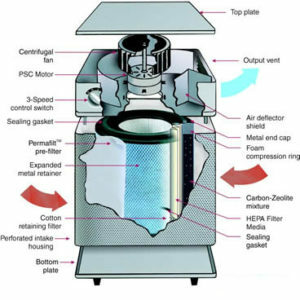 It is also perfectly silent, actively eliminating sound that results from contact between the foundation and the frame by absorbing contact pressure. It can be used free standing or in conjunction with an existing headboard. Designed to be used without a bed skirt. Color: Brown. Super-easy assembly. Free shipping if ordered with Naturepedic mattresses. Please contact us for a shipping quote if ordered without a mattress. The 2 in 1 Ultra mattress comes with a 30 day money back guarantee. 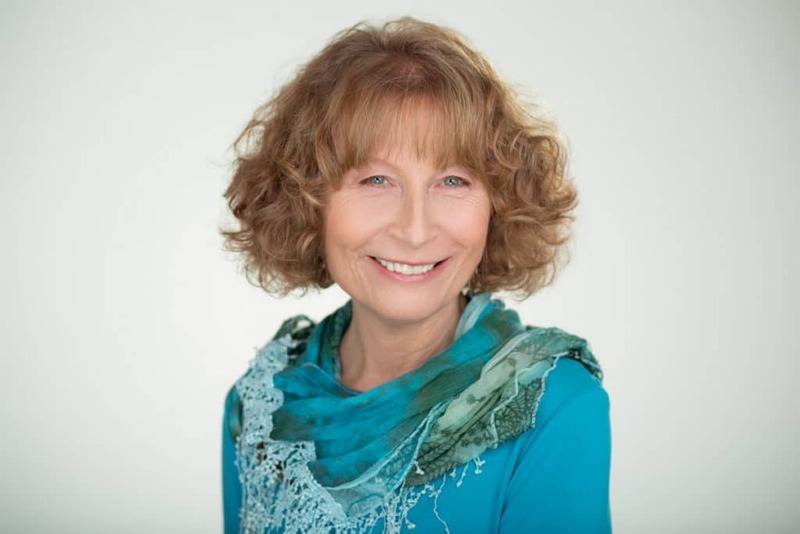 Customer pays all shipping fees, including all outbound costs associated with any promotions, plus box for shipping, if original shipping box is not kept and a new box will need to be freight shipped to you. Please contact us for return details. Customer pays all shipping costs on refused deliveries unless mattress is damaged and noted with carrier.